Sofi and Derby had a spa day today so I had them in town early. 9 a.m. – when you’re retired, that’s early! First time Derby has not been ready to get out of the car. Got them dropped off and away I went. Parked by BCR and walked the town. Stopped in the tienda across from the correo. Had some new dresses but none in my size. By the time I was through trying on the dresses and getting it off, I was so hot! Always have my water bottle with me. Then I wandered in one of the shoes stores and nothing yelled “buy me”. So I wandered down the street and all of a sudden a lady came around the corner. It was quite funny because we both looked at each other like “I know you”! It was Sandra’s (from Antanos) mother. Hadn’t seen her in ages. We hugged and attempted some Spanglish. Then we went on our way. On my way to Antanos I ran into Dra. Candy. and we chatted for a bit. I went on my way to have some iced tea for National Iced Tea Day and wait for the dogs to get done. A lady walked in and put her stuff on the couch on the porch at Antanos and headed to the bano. She came out and headed to where the bar/kitchen area is. All of a sudden Sandra came out and said “Nancy, this is my grandmother.” I replied “su abuelita”…..so I went over there and the hugs and kisses I got from this woman will never be forgotten. Then Sandra’s mother came in with a beautiful orchid for Sandra (her birthday is Monday). I kept saying “total familia”. We laughed and continued talking in Spanglish. On my way to where the car was parked, I ran into Mike and Joni. She was headed to Alvaro for rehab. Said he’s really helping her. And we agreed he was easy on the eyes! Finally got to the car, I park on one side of town and walk instead of trying to find a place to park. Off to Coope for Mark’s newspaper. I apparently have problems parking in parking lots.Pulled in really crooked and as I’m trying to straighten up, I had one tire over the parking bumper; so back and forth I go, finally getting it almost straight. Get out of the car and Mike Elder says you know you’re not really supposed to drive over those right? In my mind I’m thinking I’m of the age I can do pretty much whatever I want. LOL Then he told me to buy the La Teja newspaper because Mark would enjoy the centerfolds! Told him Mark specifically said La Nacion because it’s thicker! He laughed over that! After that I headed to where the dogs were. Sat for a few minutes waiting and the yelping and hollering they were doing was totally embarrassing to me! They know better than to act like that. Uneventful ride home; dogs ran in the house and slept for a couple hours before I remembered they hadn’t lunch yet. Their spa day totally relaxed them and they have slept all afternoon. I was worn out from walking all over town too. Not able to go all day like I used too. 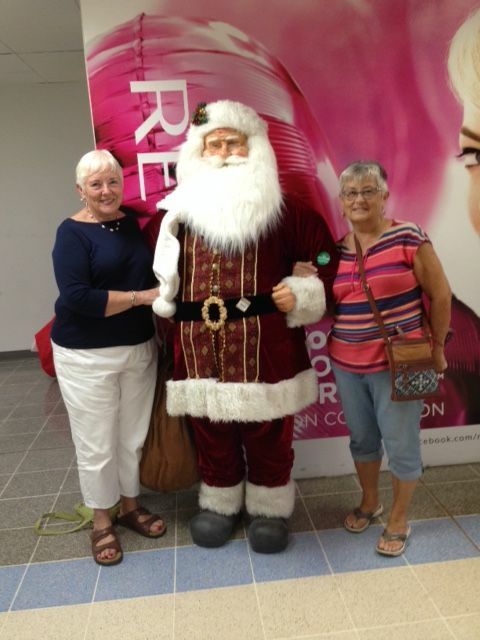 We spent our first Christmas in Costa Rica in 2011. Going to the festivities in Atenas was a fun time for us. Loved the Christmas parade and told Mark that maybe we should go in the business of selling drum sticks! What really surprised me was everyone was bundled up. Coats, jackets, scarfs, hats, and I thought the little babies were really over bundled! There we were the Gringos with short sleeves and shorts on! Thinking these people are crazy, it’s not even chilly. Well, things have changed! This year, I had on a denim jacket! Guess my blood has thinned or something has happened. Mark was fine. But again, people were bundled in jackets, scarves, hats, etc. I think I’ve become a Tica! In: Atenas | Christmas | Costa Rica | Holidays | Living in Costa Rica | misc. stuff | Shopping | Stupid things I do! Comments Off on It’s Beginning to Look a Lot Like Christmas! Universal, which is a large department store in Alajuela, moved into the new City Mall, the largest mall in Costa Rica. We decided to check out the old Universal because everything Navidad was discounted! We had a ball. Most things were 50% off and some were 30% off. She shops like I do, check everything out and then make a decision! By the time we were finished shopping there, it was noonish. So we headed to City Mall, with plans to hit every store with lots of Christmas decor. Checked out the Universal store there, prices at the old store were much better. Then we headed to Aliss; beautiful things there and we oohed and aahed! By then we decided it was time to eat. So we headed to Subway. Finished eating and then we headed to Oxygen, we love their clothes and prices. Tried on a few dresses but nothing hit me just right! Then we headed to Cemaco, a department type store that doesn’t carry clothing. O.M.G. They have 4 different villages set up under glass in the front of the store! I loved everyone of them. One was like an amusement park with rides that we both used to ride at county fairs. One was a village and I fell in love with the Pet Store and Shoe Cobbler store that was actually shaped like a shoe. The whole set up was beautiful! Then there was a snow scene, and another scene with Santa flying around with the reindeer; ice skaters skating; let’s just say, we were both in “Christmas Heaven”. Left there and decided to sit down and get our purchases arranged to head to the car. I think my heart skipped a beat! My phone was missing. So Jean Marie stayed there trying to call it, and I tried to retrace my steps. Maybe it fell out of my pocket in the rest room. As I was headed down that hall I saw a female security person. So in my best Spanglish, I tried to explain what happened. She patted me on the back and said she would call her Jefe (boss). So we stood there waiting for the Jefe of Security to show up. They arrived shortly. Kept asking me to describe it. Kept saying is was “pink, cover was like a book with a giraffe on the front and a giraffe on the back. Every time I said giraffe in Spanish, they smirked….I’m guessing they figured an old lady shouldn’t have a phone with a giraffe cover! Then a guy came by and said do you need help? So I said yes, that if I went home having lost my phone, I would probably be beheaded! So he asked me the same questions that the security officers asked me. The whole time the female security person was patting me on the back. All of a sudden, one of the security guards pulled my phone out of his shirt pocket. I got really excited and gave him a big hug (am sure he thought another loca gringa); so then he wanted some ID. So I said we had to go where my amiga was sitting. I pulled out my Cedula (national ID card) and he turned on my phone, laid it on the settee and took a picture. Then gave it to me with a big grin. I again hugged him and the female security person. Keep in mine we’ve walked a five story mall and this was probably a 2 hour deal! Took Jean Marie home; and since the story had a happy ending, I did end up telling Mark. Who just stood there shaking his head! I found out he had turned on “Find My iPhone” since I had my iPad with me, I could have located it via the GPS. Then off to Don YaYo’s for Huesos (Bones) Night with Mike and Karen Elder. They kept us up way past bedtime! Huesos are the pork bones with hunks of meat still attached. Mike and Mark enjoy them from time to time. I had chifrio and Karen had fish and chips! Early this morning, I’m guess it was early, Jean Marie called and woke me up and said I left my knitting in your car. I said “no, you stuck it in one of your bags”. She said OK, I’ll check. Then I pleasantly went back to sleep and didn’t wake up till 11 a.m. But I keep thinking about all the gorgeous Christmas things we saw, and the phone story ended up OK, so it was a great day! Yesterday, Wednesday, should have been sewing class day. However, we diverted it into a fabric field trip to Palmares. Alejandra has family there so she was the day’s guide. First stop was at a warehouse of fabrics! Oh my! Oh my! Oh my! It was huge!!!! Lots of quilting fabric, which was nice to see. All kinds of ribbon and trims, thread, it was just unbelievable! No, I don’t remember the name of the place, but I do have it in the GPS. From there we went to Metro-Kilo, and found more goodies. And then we went to another store that had some fabric, but not as much as the other two. Went to the Central Market, I like the way it’s set up there. No Gringos there and I did feel like I got some looks as if to say “what are you doing with Tica’s” or maybe it was “Tica’s what are you doing with a Gringo”. It was a fun day….and glad to have found some new places for fabric. But any day spent shopping with friends, is a good day! Thanks to Alejandra for showing us around and to Cristina for giving up a day of sewing! I did see something I’ve never ever seen in my lifetime….a beach towel with Jesus on it! Men drivers = driving with turn signals on! I don’t know what it is with men drivers! And it’s also motorcycle drivers! They drive with the turn signals on….makes me nervous because I’ve been behind drivers with a L turn signal flashing and they turn R. YIKES! Wonder how many accidents have been caused by that? I’m guessing they can’t hear the clicking of the turn signal. I would like to propose that car manufacturers either turn up the sound of the turn signal or have it respond, you’ve have now turned, please turn off your turn signal! Pura Vida….makes no difference what country you are driving in! My Aunt Mary passed away last night. She was my Dad’s sister; his two other brothers have already passed away. The nasty disease, Alzheimer’s is rampant in my family. Hope something is discovered soon to halt the progress of it. This is one of those times that living in Costa Rica is a detriment. However, since Indiana is deep in snow, I probably wouldn’t have been able to make it there. Aunt Mary was a happy, jolly person! She, my Dad and his brothers were so alike in having the laugh easily and frequently gene. Glad I got that gene and can see the humor in certain situations! I don’t like the family dwindling slowly away…..I know it’s going to happen to all of us, but it doesn’t make it any easier. My heart goes out to my Uncle Dale, cousins Mark, Susie and Marlene. Please know that Mark and I are there in spirit! It suddenly dawned on me that I am now the oldest of the Reynolds clan! I guess you’ll all be seeing me with my tiara frequently. Matriarch not a label I’ve ever thought about. I guess I should buy a pair of white gloves too. I think I’ll stick with the Miss Congeniality Title I won in the Miss Michigan Aerospace contest in the late 60’s. 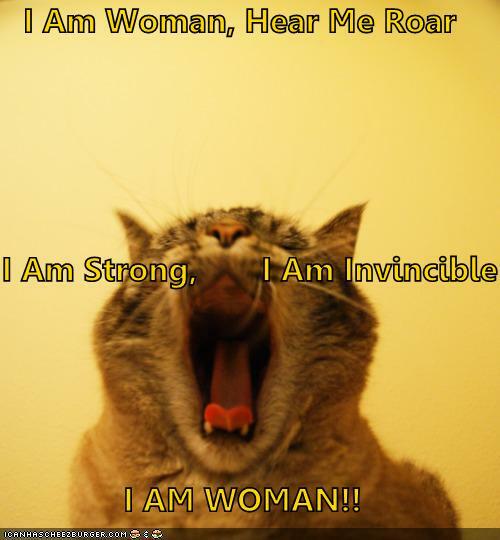 I am woman – hear me roar! It’s been quite a stressful 10 days around our house trying to stay legal living in Costa Rica. All because of one man at the CAJA office who is on a power trip! For those not in the know, that’s our country-wide health system that we have to belong to, whether you use it or not. Well “the Don” as I will refer to him, has decided that when you renew your carnet (the ID card for the health system) you now need to have your marriage license re-certified that Costa Rica Immigration has already certified as legal. Now “the Don” wants it apostilled. This requires sending it to the State of Michigan, where we were married, and haven’t lived for 44 years, to put this stamp on it certifying we are still married. We have lived in 5 different states and frankly, the State of Michigan has no clue if we are truly still married! We met with our attorney here this morning and came up with three options. 1. Go back and try again and see if “the Don” is in a better mood. 2. Our attorney would type up a letter certifying we are who we say we are and are still married. 3. He could marry us here in Costa Rica and it would take up to 3 mos. to get listed in the National Registry. Our attorney said would require a new diamond ring! We get a group rate through ARCR and it gets paid automatically, I could let it expire and buy my own medication here at the pharmacy. Most medications you can go in and buy over the counter without a prescription! Novel idea, huh? On our way to CAJA, I had the crazy idea that since Mark went in last week, “the Don” may remember him so I would go in and try. There was a Tica ahead of me trying to do the same thing and he sent her away with the paperwork that he gave Mark last week. Now it’s my turn. I acted like I knew what I was doing – no small talk, etc. After all, a gal from Kentucky with “sweet southern charm” can explode too! I gave him Mark’s new cedula and old carnet and my new cedula and old carnet. I explained I needed the expiration dates on the carnets to match the dates on cedulas. He said absolutely nothing to me and began to process the paperwork. Yep, I got the new carnets! Mark’s is good for 2 years, which matches his carnet; mine is only good for 1 year and does not match my carnet. I will wait till “the Don” is on vacation and go to the termporary person and explain that the date is wrong on my carnet and try to get it for 2 years. Yessiree folks, I am woman, hear me roar! 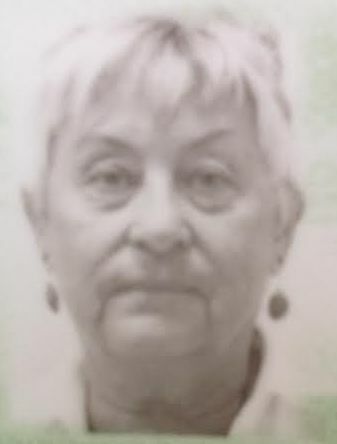 Or perhaps he didn’t feel like messing with the woman who looks so disgusted in the picture on her new cedula. Seriously, I think you need to act like you know what you’re doing; not be trembling, etc. By the way, I was going to ask to speak to his boss, if he told me “no”. The ARCR group rate receipt for paying for this healthcare, states, that we have the same rights as Ticos do. So I was ready for a fight. Luckily for Mark, it didn’t come to that – otherwise I might have been deported.